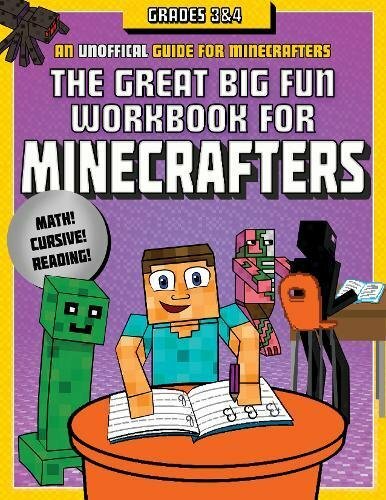 Whether you’re preparing them for the upcoming school year or providing extra skill practice, The Great Big Fun Workbook for Minecrafters: Grades 3 & 4 is as fun as it is educational―and is just what your child needs to meet and exceed academic standards! This educational series is created especially for readers who love the fight of good versus evil, magical academies like Hogwarts in the Harry Potter saga, and games like Minecraft, Terraria, and Pokémon GO. If you have any questions about this product by Sky Pony Press, contact us by completing and submitting the form below. If you are looking for a specif part number, please include it with your message.